The tune – which originally appeared on the 1972 self-titled album debut by the Stills-led band Manassas – is one of several remakes by The Who frontman on the project and is featured alongside original material and songs first recorded Stevie Wonder, Nick Cave and Garnet Mimms. 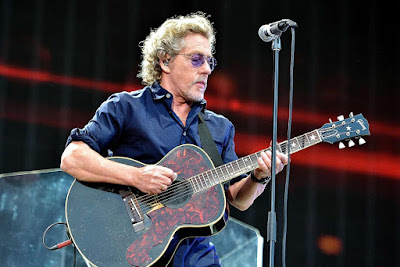 Due June 1, the set features Daltrey’s Who bandmate Pete Townshend on seven tracks as well as guest performances from Mick Talbot (Dexys, The Style Council) on keyboards and Sean Genockey on lead guitar. “As Long As I Have You” will be available on CD, 180g Black Vinyl, Limited 180g Red Vinyl housed in Polydor Disco Bag (available exclusively via thewho.com) and digital formats. Daltrey will perform The Who’s 1969 rock opera, “Tommy”, in its entirety during a summer US tour that begins in Bethel, NY on June 8; the 13-date series will see the singer accompanied by members of The Who touring band and joined by some of the most prestigious orchestras in the United States, including the Boston Pops, the New York Pops and the Nashville Symphony.